Spring Migration. Don't you just love it? Of course, defining "spring migration" is a little tricky in ways, as much of it depends a lot on where you live. 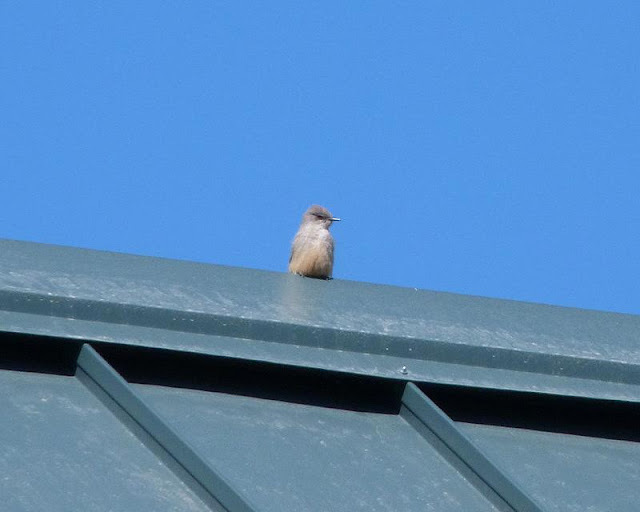 I actually have a presentation I do on migration, and one thing I've often found interesting is how, in places like Florida, some species are already making their way north by early January (Purple Martins, coming north from South America, are observed before January 15th most years). And it just grows from there. It starts for me the first 10 days of March, the arrival date varying from year to year depending upon weather, when I walk into work in the morning and old reliable, a Say's Phoebe, is singing his heart out atop the 4-story building where I work. In between spring storms, he'll keep at it until he finally attracts a mate late in the month. They're paired up now and starting to refurbish the nest they use every year over one the building's doors. 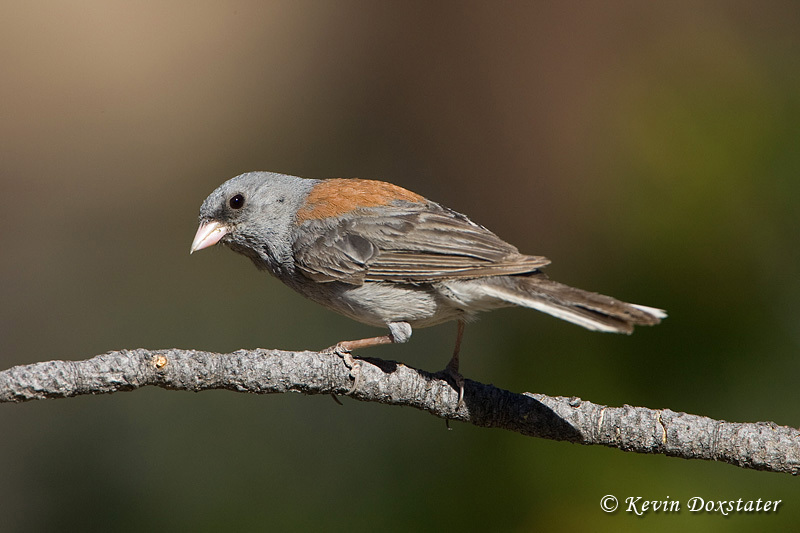 Right after the first phoebes, the Gray-headed version of Dark-eyed Juncos turn up, looking for bare ground to search for food or perched in a Ponderosa Pine, trilling away with their junco song. Of course, with the arrival of the Gray-headed Juncos, the Oregon Junco subspecies birds that overwinter are heading back north. At just about the same time as the juncos are arriving, two species of bluebirds are showing up too. 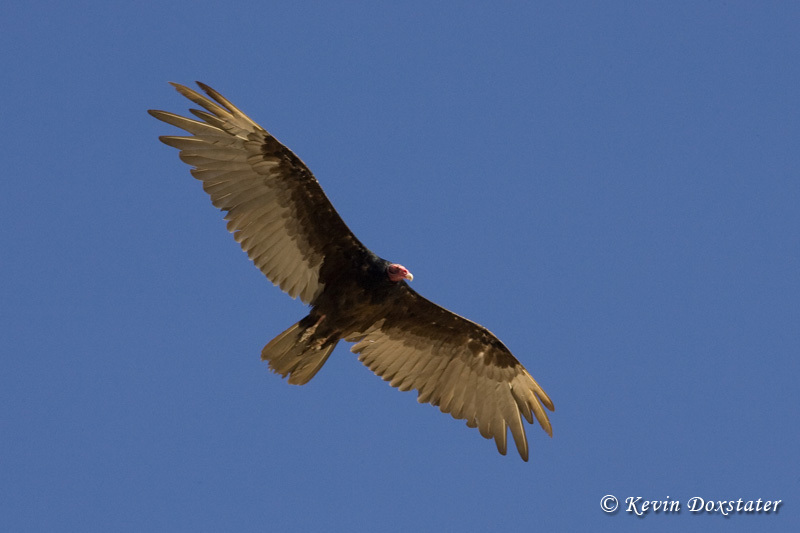 For the most part, I don't think they go far, as I do see them at lower elevations nearby during the winter. Some bluebirds do travel south, but many only migrate altitudinally, but once there's a few bugs to eat they move to higher elevations. 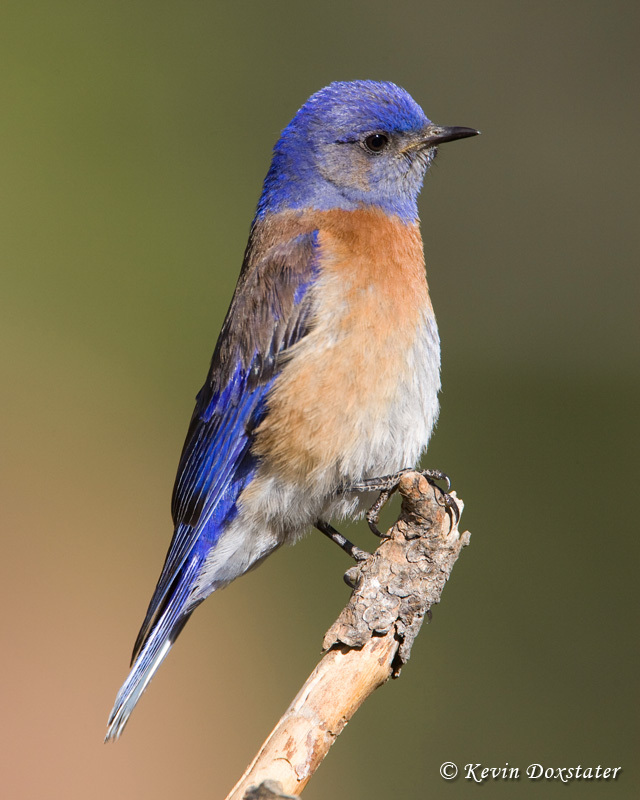 Both Mountain Bluebirds and Western Bluebirds (pictured) breed here at 8,000+ feet. By the 3rd week of March, the raptors I wrote about back in January - Bald Eagles, Ferruginous Hawks, and Rough-legged Hawks - are leaving and the first Turkey Vultures begin to arrive. On March 23 I was shooting a new project I tackling, time-lapse photography, and saw my first of the year Peregrine Falcon near a place they are known to breed while my camera snapping exposures every eight seconds for two hours. One day last week I heard my first Yellow-rumped (Audubon's) Warbler singing, and the following day he was heard singing again - and with that encounter I actually got to see him! 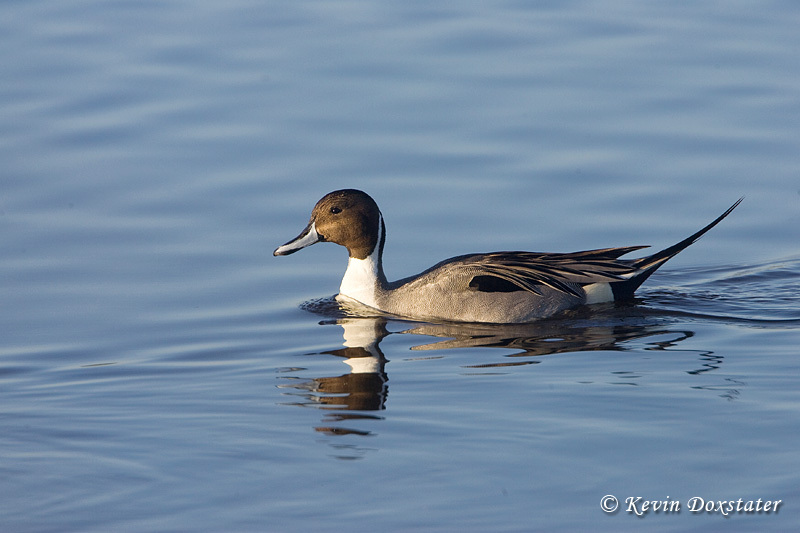 The local ponds are now ice-free and, though it starts out slow with the Canada Geese and Mallards arriving first, Northern Pintails (pictured) and Cinnamon Teal have been showing up over the past few days. In the next few weeks more ducks, some shorebirds, and maybe even a rail or two, will show up for a few days as they travel north. 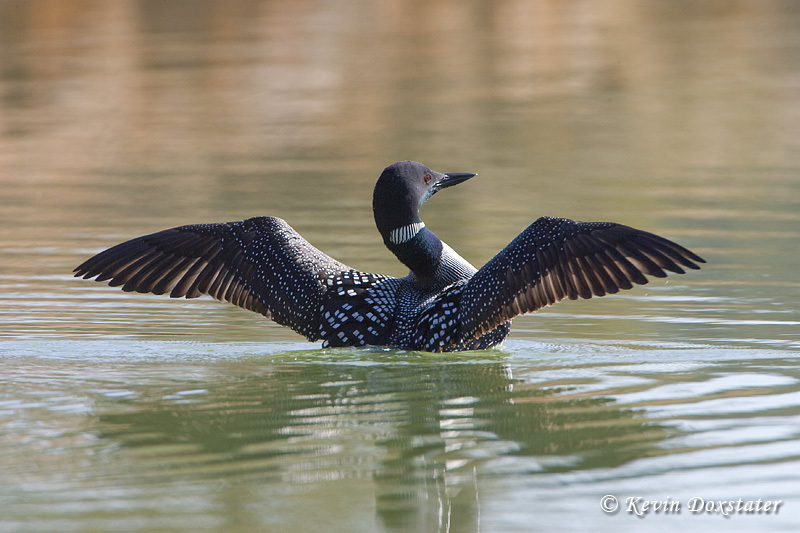 On Wednesday - weather permitting, since the forecast is for snow (oh dear) - I hope to make it to a local reservoir that is large enough for Common Loons to land and, more importantly, take off. Three years ago I had a record 13 loons on one visit (the past two years this lake was still frozen until past the time they come through the area). This same reservoir also hosts large rafts of Eared Grebes, along with several pairs of Western Grebes, in spring. And there is so much more to come. Hummingbirds, warblers, wrens, towhees, thrashers, and several other species will be arriving - some staying and others just passing through - over the next few weeks. It really is a fun time of year for me with the birds! Kevin, a great post and images. I get so excited this time of the year because of the birds that are coming back or traveling through the area. It's like getting a new gift every day. Great series of images Kevin, laced together very well with your analysis. Like Mia said, looking forward to spring migrants is like knowing you're getting a package in the mail any day and every day. I'm bewildered by the beauty of those birds! Marvelous migration! I always look forward to this time of year. So many beautiful birds passing through. Fantastic post, outstanding photographs! Wonderful Tammy.. I have Swallows to look forward to quite soon..
you seem to live in or close to a fabulous paradise! 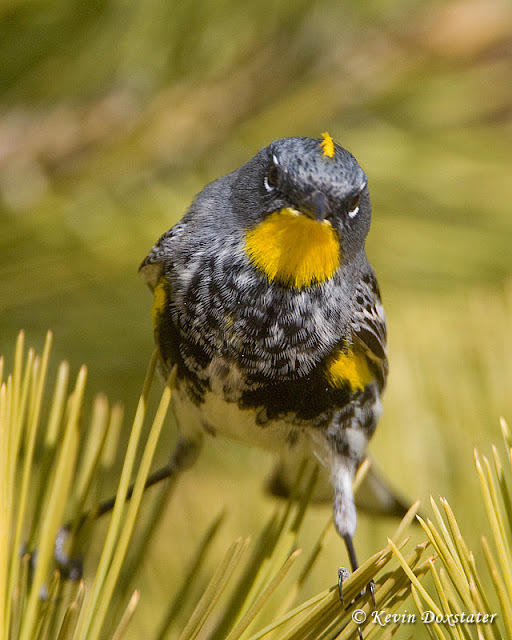 The Western Bluebird especially and the Yellow-rumped Warbler are real jewels! Every picture is a exquisite! Kevin, beautiful photos and great job capturing the excitement of migration in your post. I love Say's Phoebes. I found one up in Idaho last weekend. They are typically one of the early migrants that I see there...though I don't see so many in the Salt Lake area. Wow is right! I re-tweeted this post. Wow again! Very nice post and photos Kevin. I love watching the patterns of birds arriving/leaving; something I am just starting to notice on a smaller scale as I watch the birds. Beautiful pictures. That yellow-rumpled warbler is adorable. It is truly exciting when you see the first birds returning.